When I was in secondary school I used to do something with mum. We were not very poor then, but money was tight. So I asked my mom whether we could make more money by collecting the pamphlets and papers littered on the floor around the letter box around our old estate in Yishun. If we collect enough, we may be able to make more of how much we usually sell to the karang guni man. My mom accompanied me in these trips late night to stuff a bunch of papers into bags around the estate. She probably think doing this was ridiculous but she still do it together with me. Sometimes it is not talking down how idiotic some of your children’s ideas are, that eventually they build that habit of exploring and trying to create things. And I am thankful that I have this memory of her doing this ridiculous money generating endeavor with me, now that she is not around anymore. Of course, she accidentally also created a monster that is half miser/half frugal. How do you get Food when you have No Money? And so this monster sometimes think of ways to lower his expenses, some of them rather extreme. Every day when I get off from work, to the MRT station closest to my home, I will passed by a coffee shop. Few weeks ago, I was wondering. There are many folks that go round to different tables or beg for some money so that they can buy food. If they are so desperate for food, why don’t they wait until people leave the table and take the food people left over so that they can eat it? Perhaps the most gross part is that people’s saliva is in there. But can the poor be choosers? I think they could. And in this instance it shows. There is a certain level that you won’t go down below. Asking for money might blemish your dignity, but perhaps hygiene and eating left over food is a strict no no. If eating what people left over in eateries too radical for you, then perhaps finding food and usable stuff from other people’s trash might go down better with you. Dumpster Diving is a culture of going through what other people do not want (in this case dumpster) to find things that are of value to you and others. The most thought provoking article that brought this to my attention was this Wired article. What happens is this guy made a business out of picking other people’s trash. There are a lot of departmental stores that had to throw away out of date electronics and equipment. They throw them away due to various reasons. However, for Matt Malone, dumpster diving and then selling them off, has net him a higher per hour salary than his day job. And his day job, founder and security specialist at Assero Security is a 6 figure a year job. 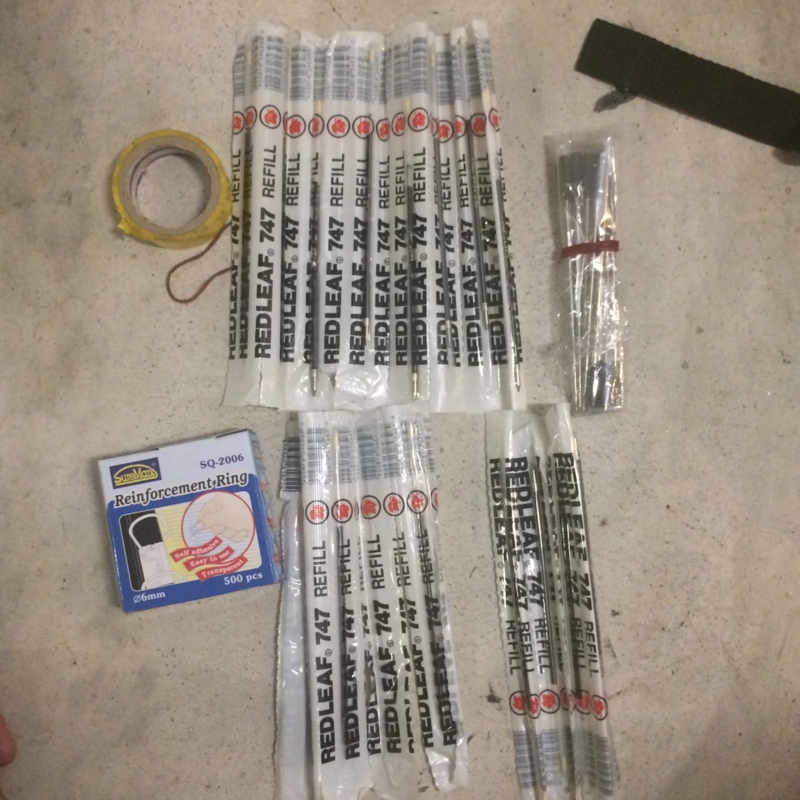 With our local market place such as Hardwarezone Forum and Carousell, you can see a situation of selling off these trash/gold and making a business out of it. I thought that in the Singapore landscape, dumpster diving is not possible. We have too much pride. We think a lot of how people look at us. We have a smaller sample size. 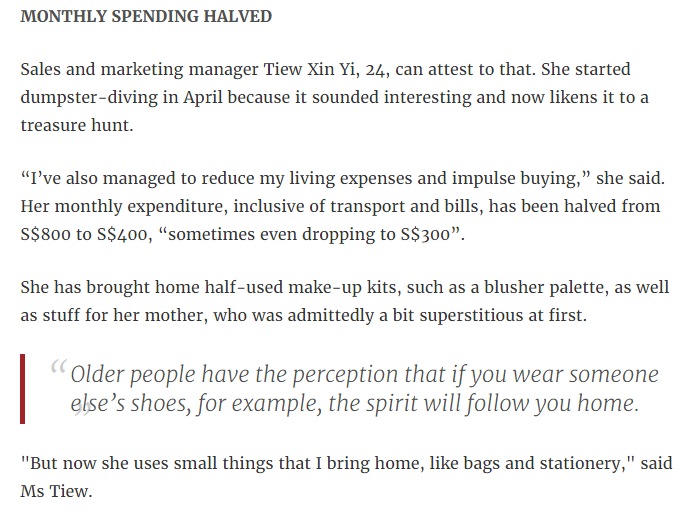 The owners tend to be more Kiasu and won’t throw away things like that. Well I was pretty wrong. 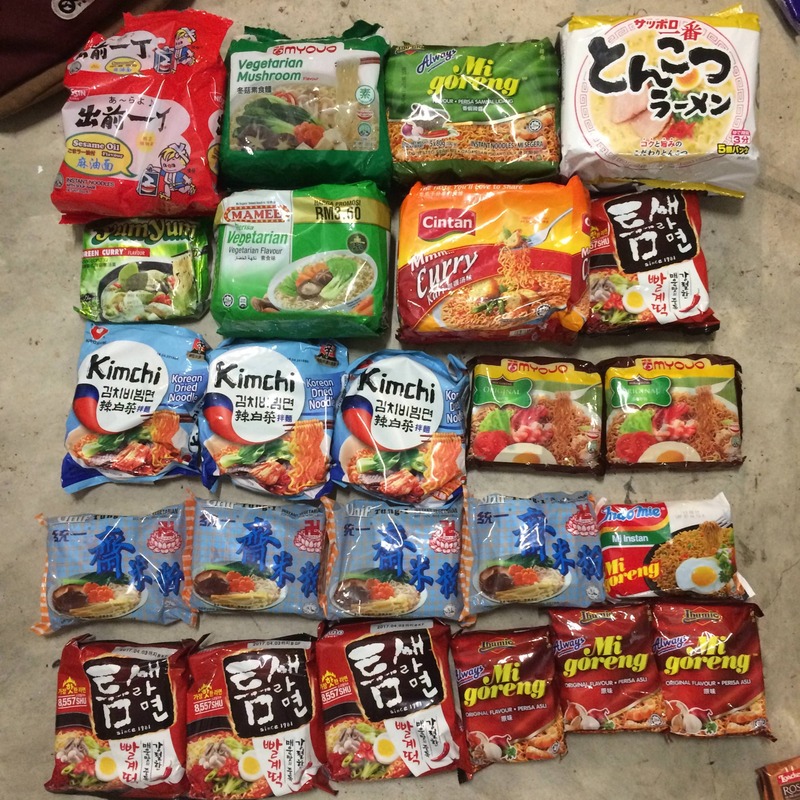 Daniel Tay proved to me that you can find some nifty stuff in the trash around Singapore. The motto is to reduce consumerism and spend as little money as possible. Daniel is linked to the topics of Investment Moats in more ways than you know it. He is a 38 year old financial planner, who is semi-retired. You can find him regularly contributing at a local Facebook Insurance Group. He confessed in the article/video that in 2009, he was diagnose with a major depressive disorder. His trigger is that he worries about not having enough money. And this coming from Kyith who himself have some radical thoughts at times. I still don’t know the maths behind it, but perhaps they could really get everything for free. And if you understand the wealth formula, you will know that might be possible. If we look at my Wealthy Formula, the key is to increase your income, but also to optimize your expenses so that you have a net cash flow to build wealth with. Eventually your wealth machine(s) can distribute an annual cash flow to cover your expenses (more on how much you need for security and independence). 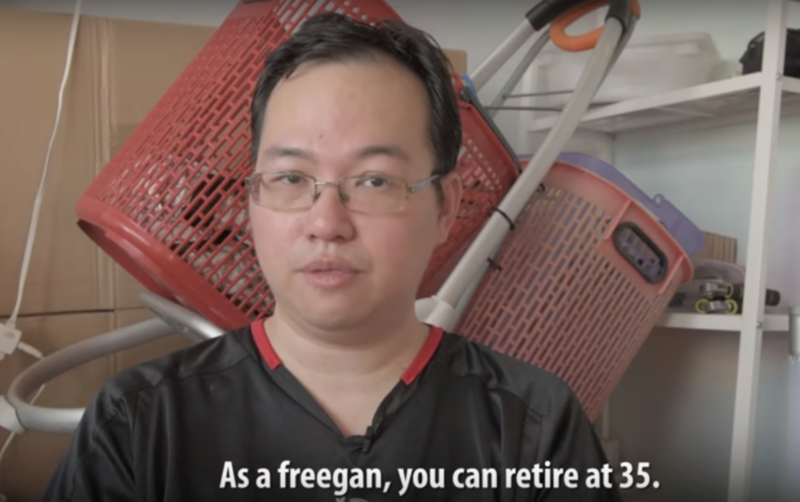 Perhaps Daniel is not referring to perpetual retirement (he is after all semi-retired) but that conceptually, freegan can bring you closer to that state of independence. For example, your annual survival expense is $24,000. 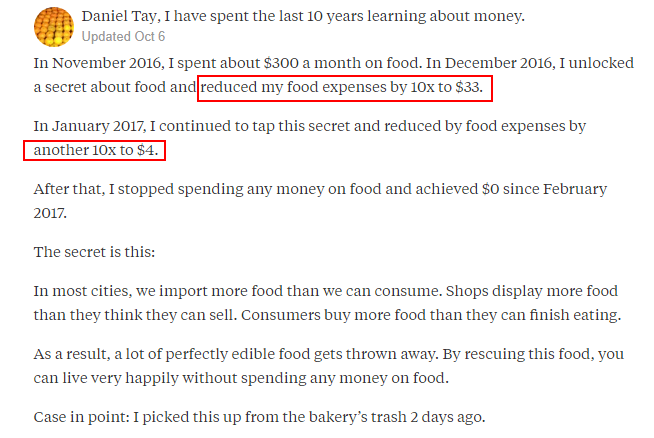 If you are able to reduce it to $15,000/yr, you need less wealth to reach the state you are aiming for (since how much you need very much depends on your annual expenses). 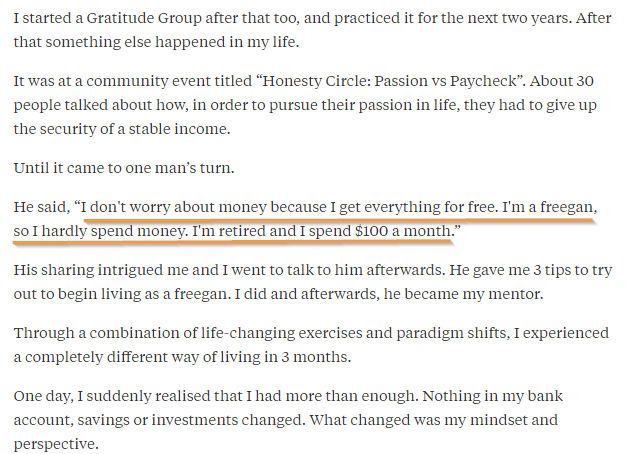 I wouldn’t call folks practicing freegan as financial independent. They are still dependent on someone giving them their resources and supply. If you have a sugar mommy, you are not financial independent, you are dependent on her. Could you get a lot of things for free, possible. Looks like there are ladies that are frugal out there. There will be a subset of you that say, this is too much work and that earning more and making your “passive income” huge should alleviate this. That is fair enough. But I hope you never have to be challenged to find out where your limits are. The Roman Stoic philosopher Seneca the Younger advice people to practice poverty, and in this piece, the author shared that practicing poverty is not just in physical nature but also in the mindset. We realize what is stopping us from doing it is because there is no need to but what would “other people” think of us if we do it. Thus its not just a physical challenge to spend a period of time living very very simply but also a mental challenge for yourself. Daniel mentions that you have food nutritionist (I am curious what nutritionist have to say about this culture), piano teacher, assistant professors, engineers willing to get their hands dirty to do things like this. 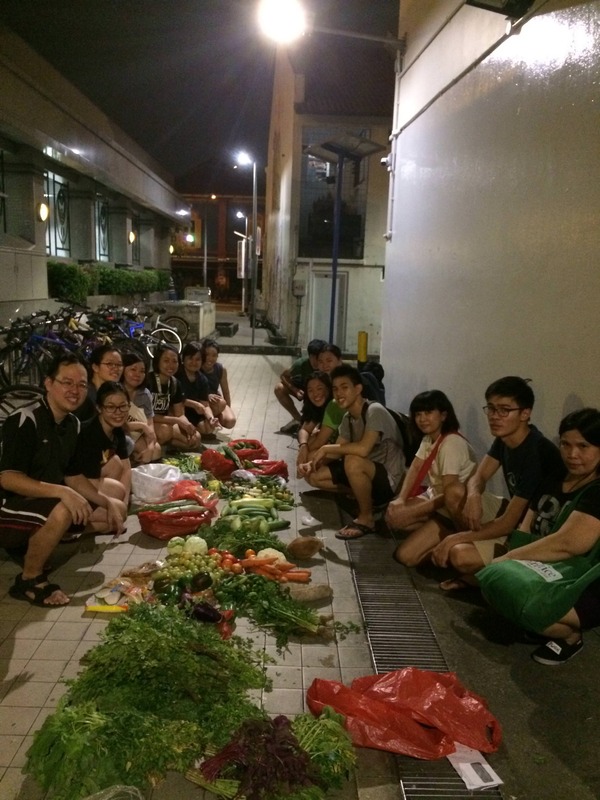 And he is leading groups of NUS students to do this. Learning and experiencing the amount of waste we throw away, what can be picked up, and how these can help those that really need it, are good to shape a generation of future leaders that eventually will form citizens in this country that could drive change. The people that needs this skill set the most are the people not practicing poverty but the folks that are struggling. Back when we were picking up scrapes when we are young, nobody gave any advice to my mother and myself on where to search for valuable stuff. Knowledge is rather powerful, and so are training courses (whether they are paid or not). Had someone been taught these skills their lives would be drastically better. 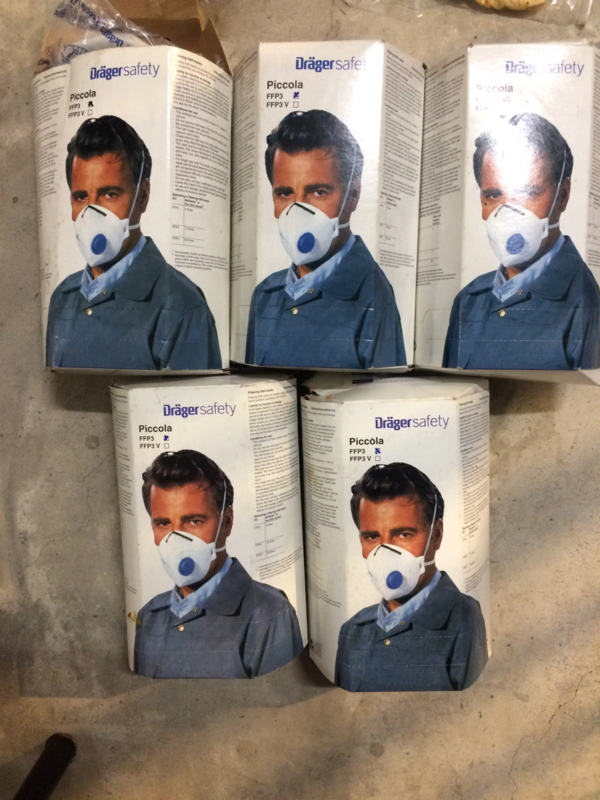 Daniel and his Freegan Community routinely give away (90%) what they find to those folks that need it the most. This is similar to the kind souls who approach bakeries in Singapore to volunteer to give their left overs to the people in need. In urban culture, we have all these wastage and someone else could be crying out for them. One of my friends commented that if you want to find a partner that shares close values with you, you look at interest groups you belong to. 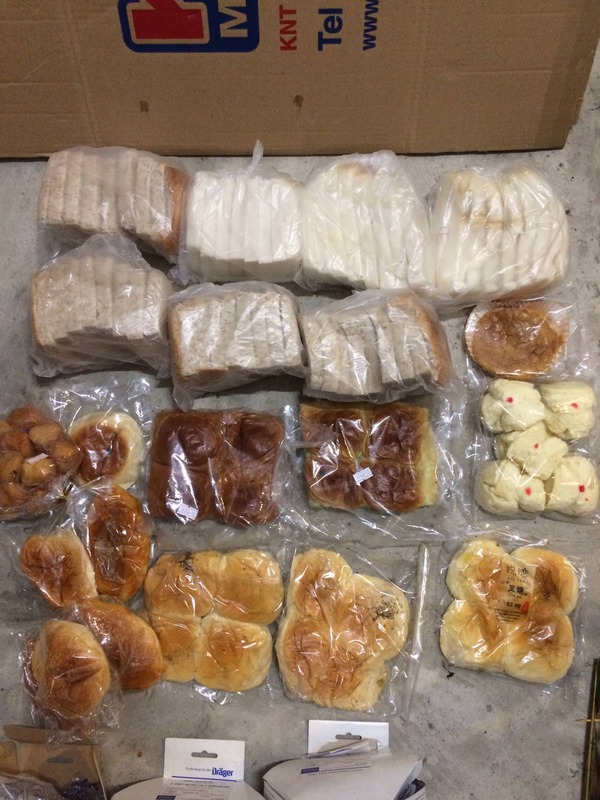 The food stuff that was picked up consist of packed processed food, food from bakery and unwanted vegetables. I have a thing against processed food or gluten based food, and that was shared in my experience meal prepping. There is also the worry that wouldn’t the cost of medical attention if we get food poisoning from eating these unwanted foodstuff make it less worthwhile? I am sure Daniel has his own nuance explanation of this. However, the more I think about it, the more I find that if I am still able to make this choice, it means that I am living in a luxurious lifestyle because there are folks who don’t even have this choice. What Freegan did the most was to highlight the excess in this urban society more than anything else. Majority of Singaporeans are in this hamster wheel that can fend for themselves, but there will be a greater wealth divide if the government don’t watch it. 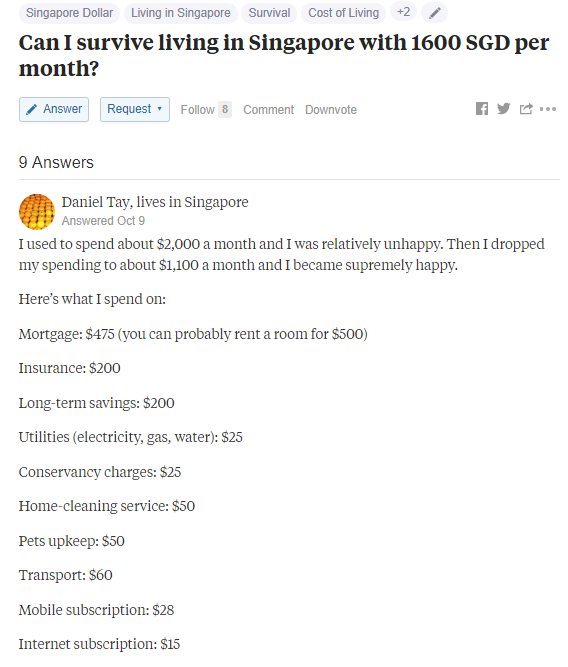 You will have a group of Singaporeans that owns all the condos and the wealth, and then an extreme case where Singaporeans cannot catch up with the cost of living as they can’t get a productive job in Singapore. It gets worse for them as technology, automation and AI starts displacing them. If you are not agreeable to Freegan, one day, if you are not careful you might fall into a situation where you need Freegan more than the person next to you. I end off with some of the stuff the Freegan community picked up in the past. This article is part of my series on Redesigning your Life for the Better. You can read the rest of the articles here. past expiry date, but i remember we were having shortage of it not too long ago. Thanks for your helpful articles that I have been following the past years. I have a question which perhaps many may have as well and hope you can help answer it. I have bought shares decades ago. I must have misplaced the statements as it was decades ago. My sharebroker does not have the records as it could be done offline. Or perhaps it was done before we have onlilne accounts, so is there really no way to trace back the prices. I want to know the initial price I bought it to know how much is the profit or loss if I were to sell the shares today. Hi Swayne, unfortunately from what i understand from the old brokers there is no way to do that. As a consolation, don’t fall into the trap of Sunk Cost Fallacy. The shares that you bought in the past with your capital is spent. What you need to think about is going forward. The way to reason this out is, if you didn’t buy those shares those time ago, would you own these shares if you have that option to purchase today? That would help you determine your future decisions on these stocks.